1. 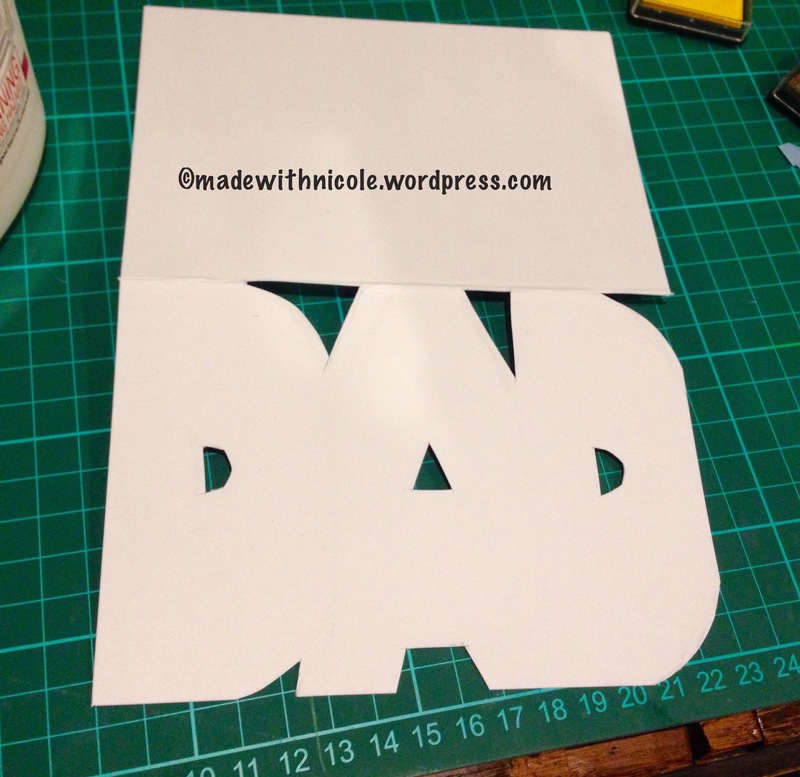 Draw the ‘D A D’ lettering on to the card and cut out the edges with the Stanley knife. 2. Erase any left over pencil marks. 3. 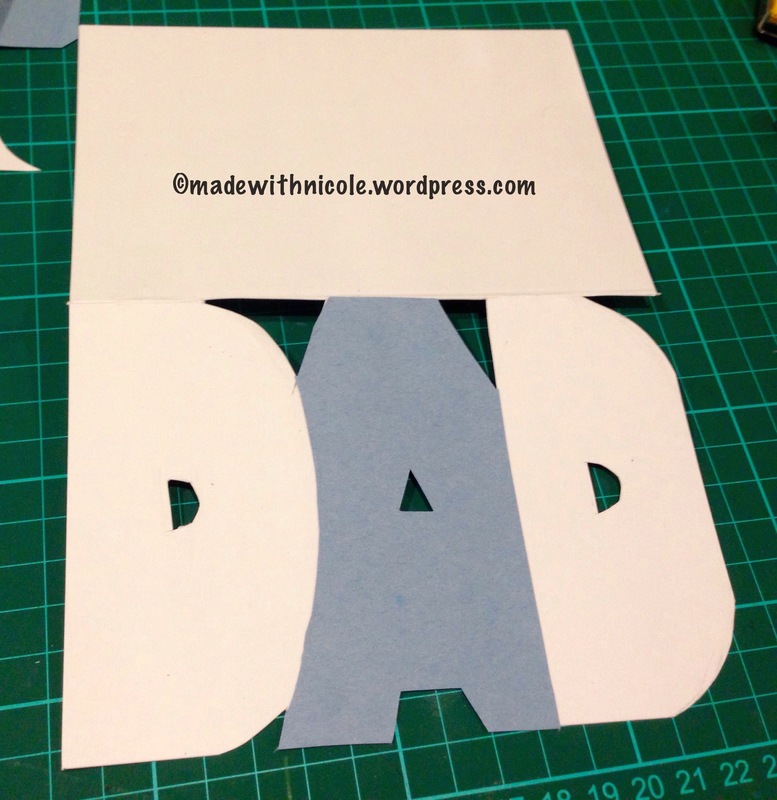 Cut out coloured paper to fit over the A. Ensure you cut a curve in the side, for the edge of the first letter D.
4. 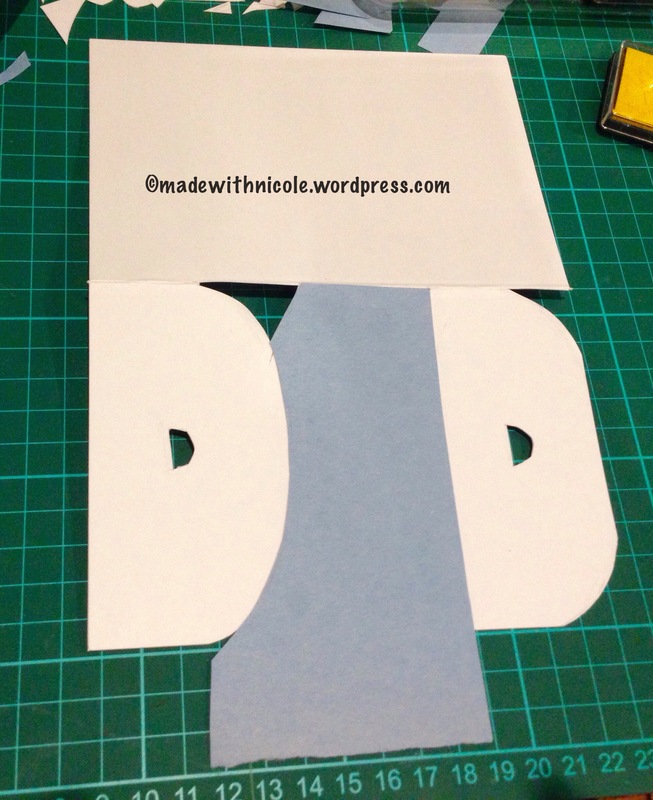 Glue the coloured paper down. When he glue is dry, flip the card and cut out the rest of the letter A. 5. 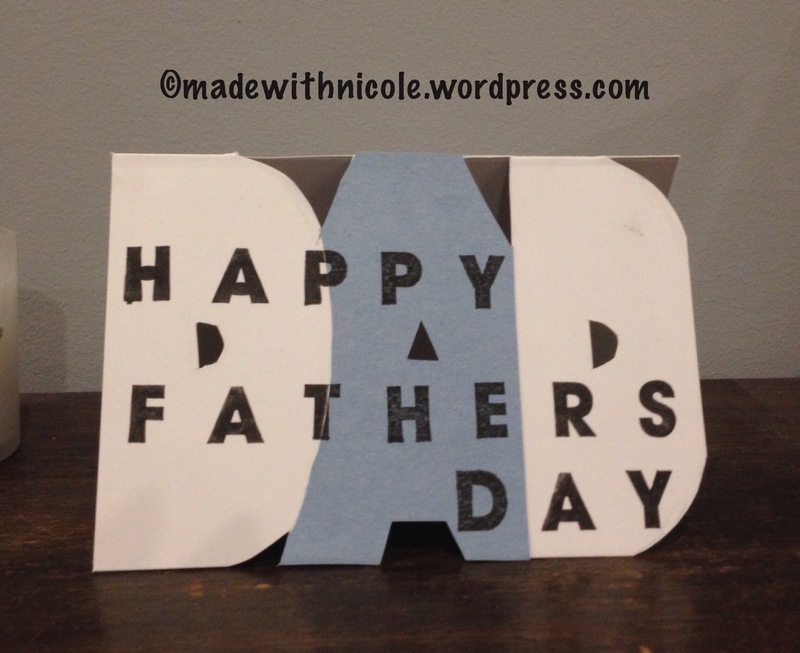 Stamp ‘Happy Fathers Day’ on to the front of the card.